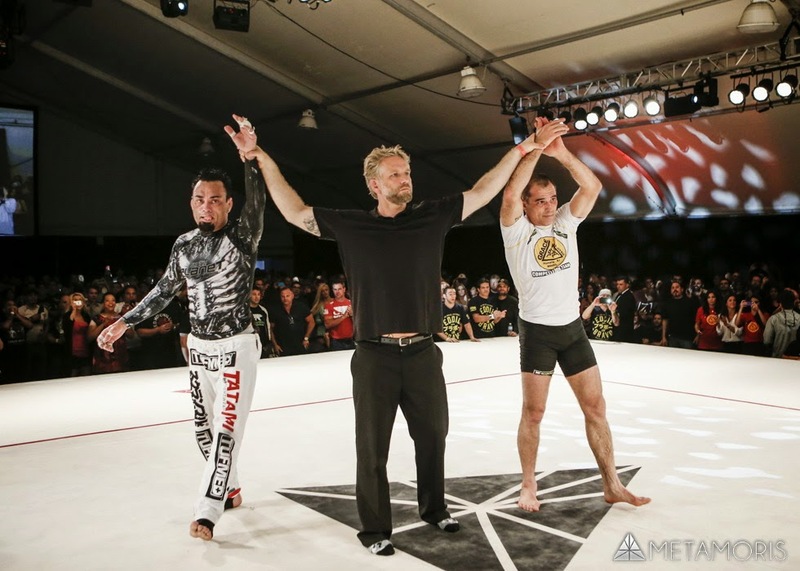 "Metamoris 3 was the best yet. 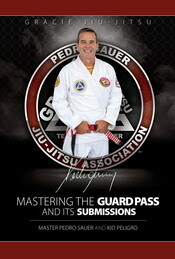 It was a great card all around and the Royler Gracie vs Eddie Bravo headliner lived up to the hype...and more. I'm so glad I got to witness that historical event in person for Jiu-Jitsu Magazine...my heart was pounding - it was so exciting watching the unorthodox try to work over the fundamentals and the fundamental defense holding off the unorthodox, unpredictable aggressive offensive. Their cardio levels were so impressive...they went all out for 20 minutes, never backing off or taking a break...old school Jiu-Jitsu legends brought back to present day in a very vibrant, colorful, and youthful way, showcasing 2 very different styles of Jiu-Jitsu, the old and the new...I haven't been that caught up in the excitement and adrenaline of a match in a long time! I hope they go for a 3rd rematch.."
(All photos by Metamoris event).